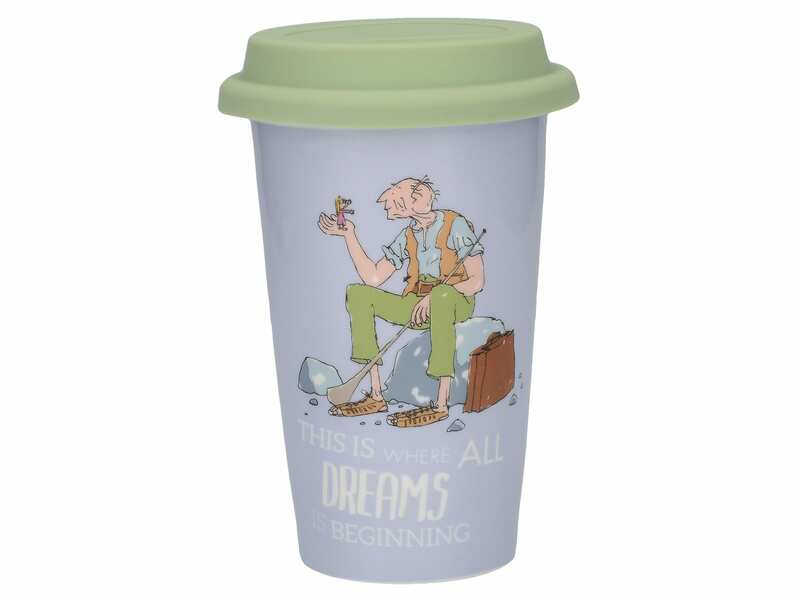 A magical piece for drinks on the go, this porcelain travel mug is from The BFG collection by Roald Dahl. A secure silicone lid is embossed with the Roald Dahl logo, while the periwinkle and pea green mug captures Sophie and the BFG exploring the magical Giant Country where dreams come alive. Size: Capacity: 12.3fl oz/350ml. Dimensions: 9.5x9.5x15CM.